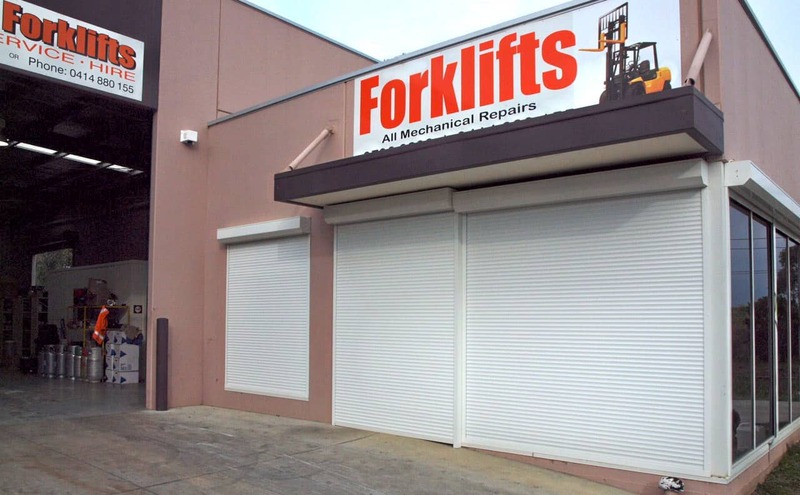 Multiple white Slimline roller shutters protect the All Lift Fork Hire in Hallam. These commercial shutters are installed to closely match the angle of the steep sloped driveway. Keeping out potential thieves is an important part of security in an industrial park like this. 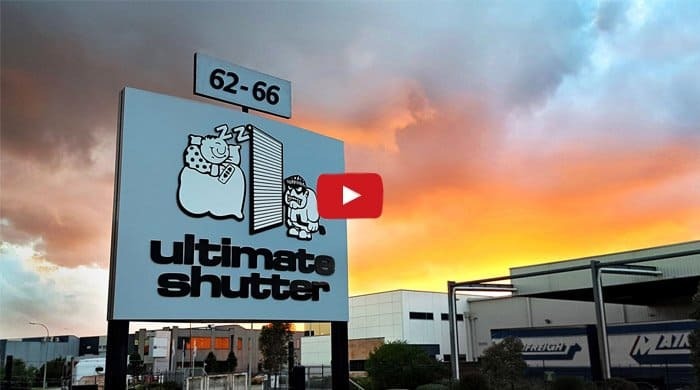 Motorised shutters make close of business lockup easy for employees while protecting the business.